Sterilight? 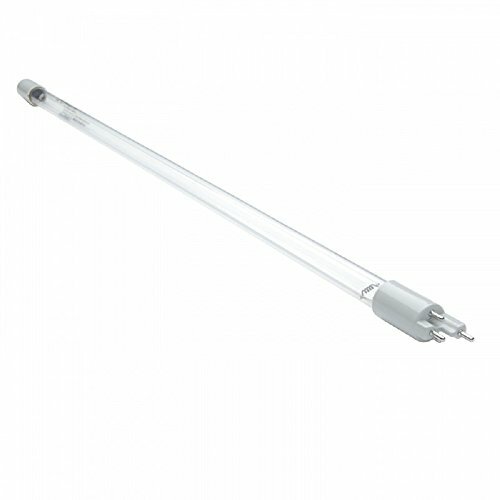 S320RL-HO Replacement Lamp Model #: S320RL-HO Length: 16.5" (42cm) Warranty: 1 Year Original Sterilight? Ultraviolet Replacement Lamp for the following systems: SC-320 SCM-320 SP320-HO Quality Replacement Lamps A consumer must consider that when buying a UV system you are buying "water confidence". In order to ensure that confidence, the correct replacement lamp is vital to the continued performance of that piece of equipment. That being said if you buy a specific model it is imperative that you replace the lamp with one that has been designed for that model, otherwise how do you even know that the UV system is disinfecting your water? There are companies in the water industry that are selling "knockoff" lamps targeting residential UV systems that are sold world wide. These lamps are being offered at a very low price with the promise that they operate the same as the UV manufacturer's lamps. This promise is untrue. If a consumer were to install a "knock-off" lamp the "water confidence" that was being offered by the UV manufacturer no longer holds true and cannot be supported by the manufacturer. If you have any questions about this product by Viqua, contact us by completing and submitting the form below. If you are looking for a specif part number, please include it with your message.